Dragonflies' beautiful iridescent wings enable them to move in any direction with grace and power. They represent change and adaptability but also harmony and good fortune. 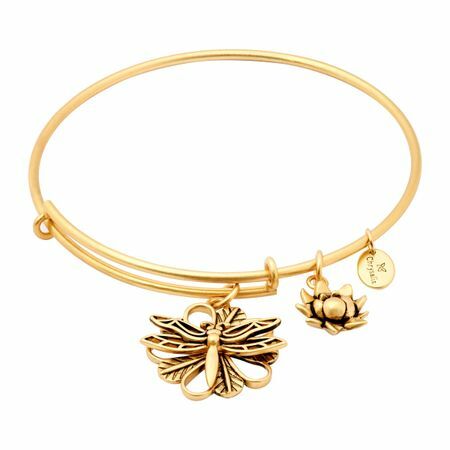 Wear your Dragonfly Bangle to embrace new perspectives and positive changes. Piece measures 7 inches in circumference and expands to 8.5 inches for adjustable wearing. Each Chrysalis piece purchased is supplied with a branded Chrysalis paper gift pouch as shown.